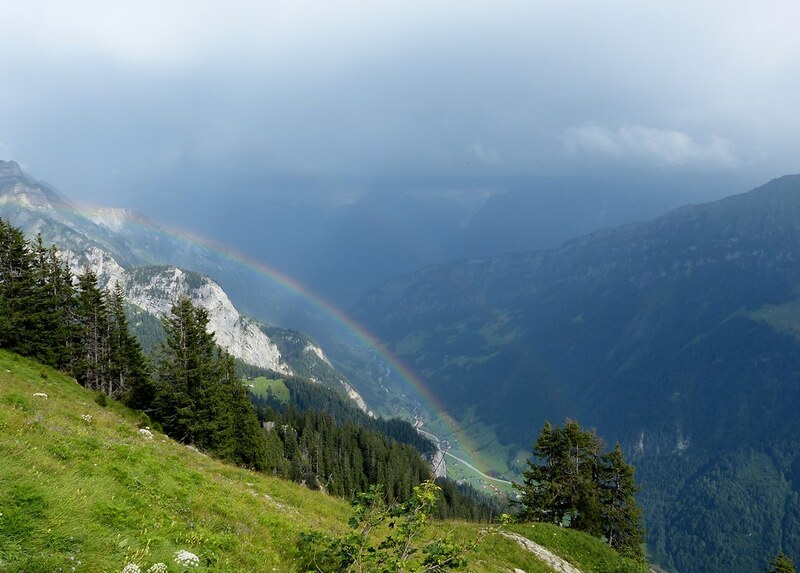 I've been back in the UK now for just over a week after spending a fantastic fortnight exploring the Jungfrau region of Switzerland. 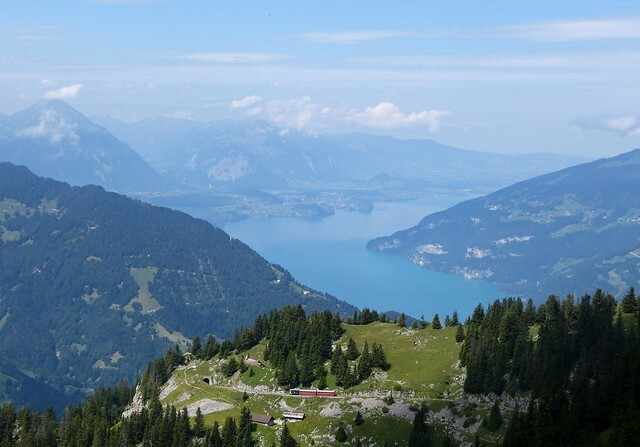 Shunning the luxuries of a hotel in a country not exactly known for its low prices, we instead rented a static caravan near Interlaken on the shores of Lake Thun. Every morning started with a train or boat journey followed by more trains, funiculars and cable cars until we found ourselves well above 2,500 meters and ready to start that days walking. 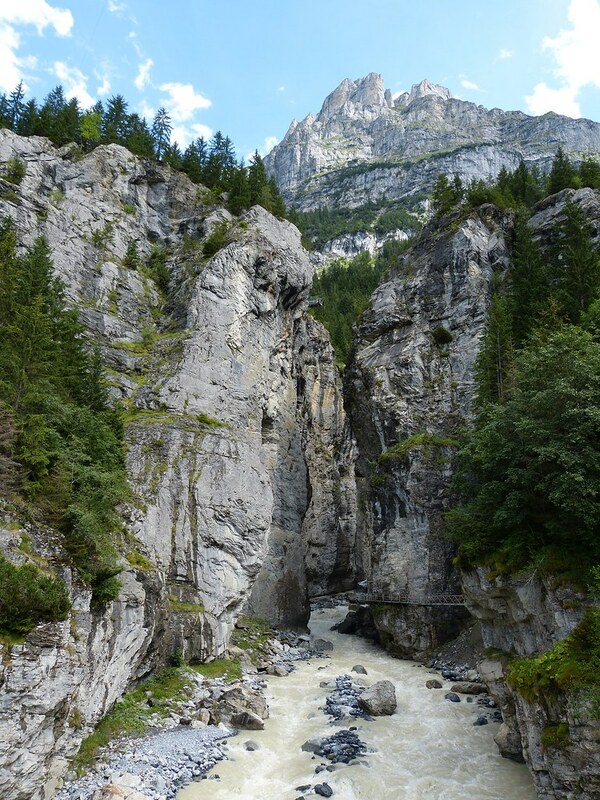 An extensive network of alpine paths took us through a landscape that words cannot do justice to and must instead be seen to be believed. 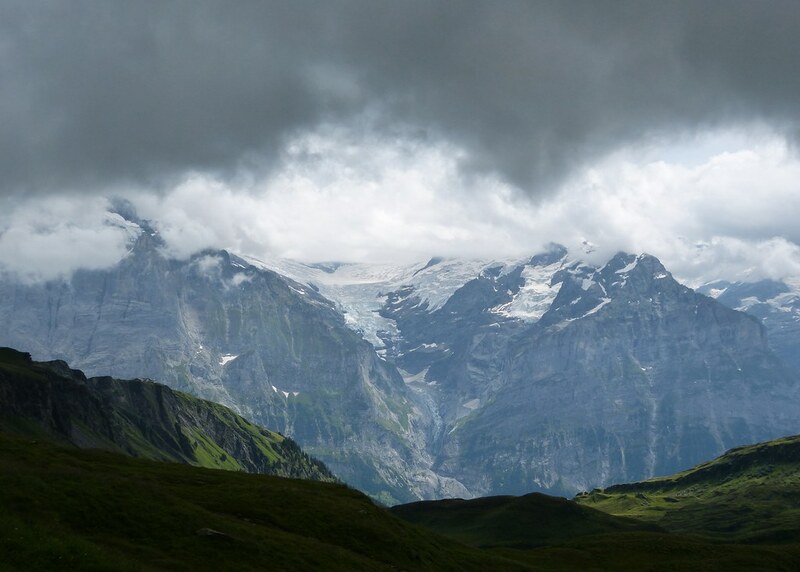 The Eiger, Monch and Jungfrau mountains became familiar friends and feature in several of the photographs on this page. 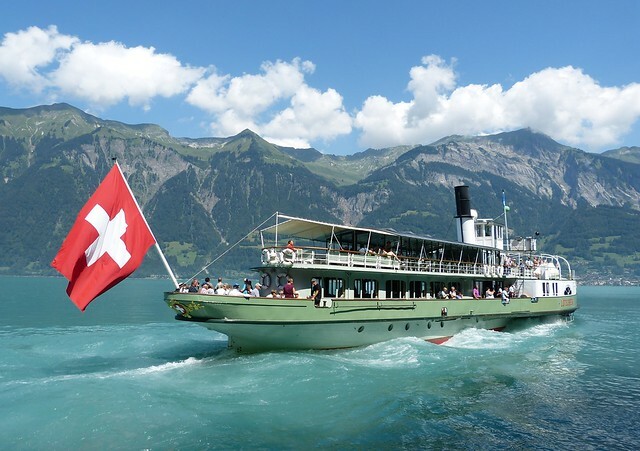 With temperatures approaching thirty Celsius on most days we were thankful for the magnificent Swiss public transport system taking the sting out of each climb. This did of course mean that there were far more people than you would normally expect to find on the upper slopes of a mountain, but moving even a short distance off the beaten track soon found us with nothing but the cows and birds for company. It was this isolation that led to us getting fantastic views of wild Chamois and Marmots, both to be featured in a forthcoming post. It's been very hard selecting the photos for this entry considering I took well over 1,500, and even harder still to try and pick out a single shot as my favourite. 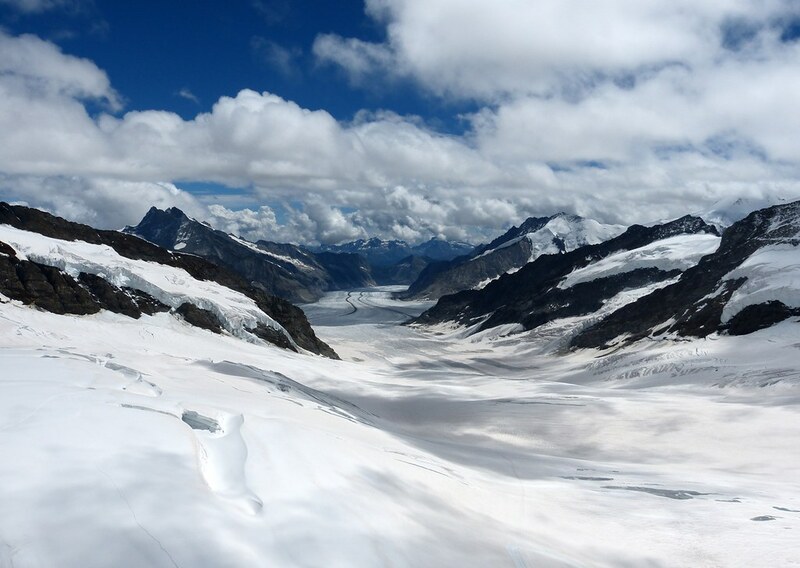 After much deliberating though the award has to go to the Jungfraujoch, the longest ice flow in Europe reached via the highest railway station in Europe at 3,571 meters. I first saw this vista almost fifteen years ago and the scene today is exactly as I remembered it. If you ever get the chance to visit go, as it must rate as one of the best natural wonders in the world. spectacular views! glad you had a great trip! Thanks TexWisGirl. Glad you enjoyed.